The field of genetics has changed tremendously since Gregor Mendel first tended to his pea garden and characterized “dominant” and “recessive” inheritance of phenotypic traits. The growth in information has been particularly explosive in the last two decades, culminating in the Human Genome Project in 2003. Since Mendel’s time, the genetic basis for many kidney diseases has been elucidated but also continues to be refined as technologies become more sophisticated for identifying specific genetic mutations and variants of clinical significance. It seems every week a paper is being published on new mutations underlying a particular clinical phenotype or risk alleles that increase risk. 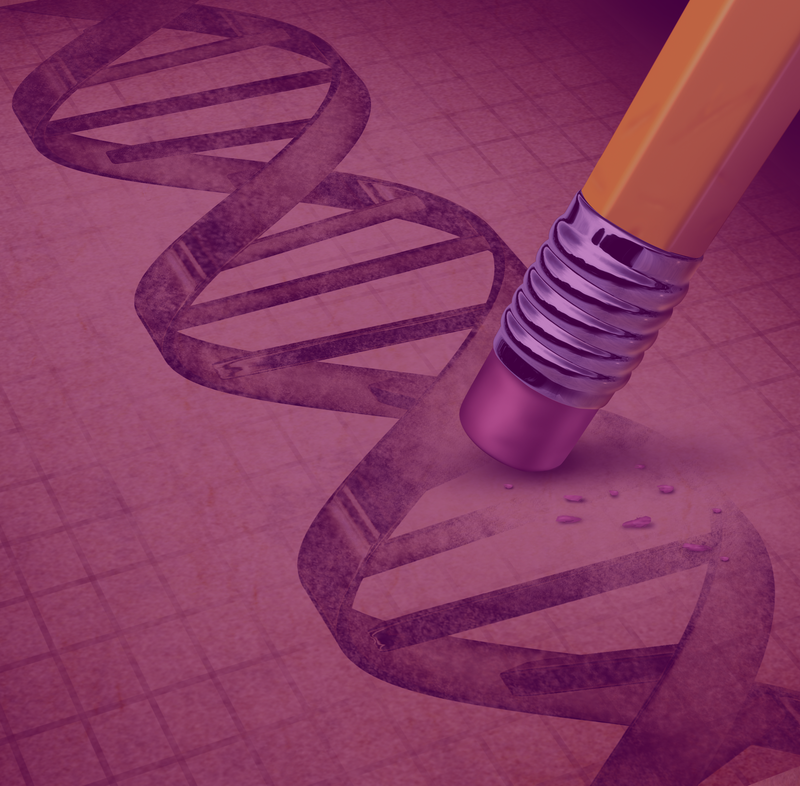 Through advanced gene editing protocols used in animal models of disease, we are now able to replicate many forms of heritable kidney disease in the research setting to study their pathophysiology and potential therapeutic targets. Dr. Sampson, MD, is an Assistant Professor of Pediatric Nephrology at the University of Michigan School of Medicine. His integrative genomics lab studies patients with nephrotic syndrome to discover genetic determinants of their condition. In doing so, he aims to describe the clinical impact for patients harboring genetic risk factors and illuminate targets for more precise therapies. This rivalry is at the core(tex) of genetic kidney diseases. Mutations affecting podocyte function are pitted against defects in tubular cell cilia function, similar to 2015, which saw a formidable matchup with APOL1 taking the crown. Can the podocyte foot processes efface the track record of research underlying cystic kidney diseases? Or will the ciliopathies sweep the podocytes out of the tournament and move on to the next round? One of the most difficult challenges faced by nephrologists to this day is the management of nephrotic syndrome, particularly steroid-resistant nephrotic syndrome (SRNS) and focal segmental glomerulosclerosis (FSGS). The pathogenesis and progression of nephrotic syndrome (NS) is incompletely understood, but it has been noted that heritable forms of NS are caused primarily by mutations affecting podocyte function at the glomerular filtration barrier. These mutations affect all aspects of podocyte biology, including maintenance of the slit diaphragm, organization of the actin cytoskeleton, mitochondrial energetics, and transcriptional regulation of proteins required for podocyte structure and function. The seminal 1998 report of mutations in NPHS1 causing congenital nephrotic syndrome of the Finnish type paved the way for further gene discovery in hereditary nephrotic syndrome. Since then, multiple genes have been implicated in this disease. Direct exon and next-generation sequencing techniques have demonstrated that in some populations, children who present with nephrotic syndrome before age 1 have a 66% chance of carrying a mutation in one of four genes (NPHS1, NPHS2, WT1, and LAMB2). In hereditary FSGS with presentation of nephrotic syndrome in adulthood, mutations in ACTN4, INF2, and TRPC6 have been reported. Lastly, the G1 and G2 genetic variants of the APOL1 gene commonly found in individuals of recent African ancestry have been associated with a greatly increased risk of developing FSGS as well poor kidney outcomes for those with disparate kidney conditions, from lupus to general CKD. The list of genes and loci discovered continues to swell rapidly. Rising to the challenge put on by the podocytes, cystic kidney diseases are uniting and making an all-star comeback as renal ciliopathies. This is a heterogeneous group of polycystic kidney diseases, nephronophthisis, and cystic dysplasia whose genetic mutations have been implicated in disrupted ciliary function, accelerating cyst formation, and renal failure. Team Ciliopathy hails from Florida, which won back-to-back championships under Billy Donovan before his departure to the NBA. Team Ciliopathy has enjoyed success since the mid-90’s when the PKD genes were identified. What do cilia have to do with kidney disease? One usually associates these leg-like organelles (as first described by Leeuwenhoek) with protozoa, sperm, or respiratory epithelium. Unlike motile cilia, primary cilia are hair-like organelles with a microtubule skeleton that act as mechano- and chemosensors. It is thought that in renal tubular cells, primary cilia modulate the response to urine flow. In the renal ciliopathies, abnormal ciliary response to these signals may induce activation of signaling pathways that promote cyst formation. The causative genes for autosomal dominant polycystic kidney disease (PKD1 and PKD2) were first characterized in the 1980s and 1990s, but the role these genes play in cystogenesis remains unclear. The intraflagellar transport (IFT) proteins that are essential for ciliogenesis are highly conserved, from an evolutionary scale, from the Chlamydomonas reinhardtii algae all the way to the human species. Polycystic kidney disease was first associated with ciliary dysfunction when Pazour et al. created a mouse with mutant Tg737, known to cause an ADPKD phenotype in mice, and found shortened primary cilia formation in renal tubular cells. Subsequently, the proteins encoded by PKD1 and PKD2 (polycystin-1 and polycystin-2) were found to co-localize in the renal cilia. Over the past 15 years, the genes responsible for multiple cystic kidney diseases (including autosomal recessive polycystic kidney disease, nephronophthisis, Joubert syndrome, and Bardet-Biedl syndrome) have been localized to the primary cilia as well. News continues to break on novel mutations causing these classic renal ciliopathies. Recently, a novel mutation in GANAB was found in six families with ADPKD, which encodes a protein necessary for polycystin-1 maturation. This mutation and others yet to be discovered may be responsible for genetically unresolved cases in the 7-10% of ADPKD patients without PKD1 or PKD2 mutations. In this old vs. new match-up our favorite college biology lab insect, the Drosophila fruit fly, takes on the striped and stylish zebrafish, who swam a long way upstream to get to NephMadness 2017. Many of you are probably asking, “Why not mouse vs. rat?” Fruit flies and zebrafish both offer several advantages compared to rodents (and, needless to say, compared to humans) for being used as experimental models of genetic kidney diseases including short generation time, high reproductive capability, low cost, and the ability to study embryologic effects of genetic mutations in a living animal as it develops. The role of D. melanogaster in scientific research can be traced back as far as 1910, when Thomas Hunt Morgan used them in controlled cross-breeding experiments to study heredity. His early experiments in genetic linkage further propelled the chromosome theory of inheritance and earned him the Nobel Prize in 1933. Fast forward seven decades, and following on the heels of the whole genome sequencing of Haemophilus influenzae, the Drosophila genome sequence was completed in 2000 (three years before the Human Genome Project culminated). Despite the difference in structure, and millions of years of evolutionary divergence from humans, about 70% of genes in the Drosophila genome have a human homolog. They don’t have all the organs humans do (e.g. no breasts, prostate or even lungs), but they do have an excretory system. Invertebrate excretory systems do not have nephrons, but Drosophila have specialized cells called “nephrocytes” tethered to the esophagus or the heart, and which are bathed in hemolymph. Unlike the human kidney, the Drosophila renal system lacks glomerular structure. Its component parts, the above-mentioned nephrocytes as well as the Malpighian tubules, both perform similar functions of osmoregulation, transport, and secretion. Additionally, the nephrocyte has features very similar to the podocyte slit diaphragm, and with its enveloping basement membrane, has charge and size-selective filtering properties. Even more fascinating are that these functional similarities between nephrocytes and podocytes have underlying genetic orthologs, with genes (e.g. the ‘sticks-and-stones’ and ‘dumbfounded’ genes) similar to nephrin. It makes sense that Drosophila are used as an experimental model in many areas of nephrology research. Development of the Malpighian tubules has been studied extensively as a model for renal tubulogenesis and stem cell differentiation. Genetic mutations associated with renal tubular acidosis and nephrolithiasis have been studied in homologous experimental models using Drosophila. Renewed interest in using Drosophila to study glomerular disease emerged after Weavers et al. described the nephrocyte as having protein structures similar to the podocyte slit diaphragm, including nephrin and podocin, and the finding that Drosophila can be used as a model organism for studying APOL1. Will the Drosophilists fly above the competition and reach the finals? Or will they lie dormant in the larval stage and not even make it out of the locker room? At least Drosophila have one thing going for them – they have the best named genes of any species. Zebrafish are a staple of freshwater aquariums for children. Little do these children know that they could be getting a head start on their future fellowship research. But why would this unremarkable Asian freshwater black-and-white fish prove to be so popular for medical research? Akin to the fruit fly, zebrafish are relatively low maintenance, as brine shrimp and fresh water is all you need. Each female zebrafish produces hundreds of offspring, which grow to full adulthood (still only two inches) within three months. Moreover, young zebrafish are almost completely transparent, allowing researchers to study physiology as it happens live within cells. As different as zebra fish and humans appear, about 80% of disease causing genes in humans have orthologs in the little zebrafish. The zebrafish has earned greater appreciation in nephrology research over the past 30 years, and for good reason. Its embryologic pronephric renal system, consisting of two nephrons derived from intermediate mesoderm, is an ideal model for renal development in higher order vertebrates. Gene knockdown studies of slit diaphragm proteins in zebrafish have allowed for rapid assessment of those effects on glomerular maturation, which is typically complete 3-4 days after fertilization. The simple pronephros structure and transparency of zebrafish embryos allow for labeling and tracking of podocytes during development. Studies on the WT1 orthologs wt1a and wt1b in zebrafish have shown how loss of function in these genes leads to decreased podocyte number, edema, and renal failure in zebrafish upon maturation. Genetic knockdown studies of cystic kidney diseases have also been utilized. Mutations in pkd1 and pkd2 in the zebrafish pronephros reproduces a similar phenotype in humans as polycystic kidney disease. This has allowed scientists to use chemical modifier screens to identify potential therapeutic targets to inhibit cyst growth. Several studies in mutant zebrafish have demonstrated that histone deacetylase (HDAC) inhibitors can decrease renal cyst formation, and this has been reproduced in mouse models of polycystic kidney disease as well. Whether this will pan out in humans has yet to be determined. 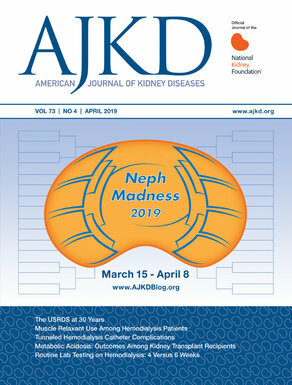 Given the simplicity of its two-nephron structure, the zebrafish has also been used to study nephrotoxin-induced AKI and potential AKI therapeutics for recovery. In the more complex mesonephric kidney of adult zebrafish, studies on neonephrogenesis have stimulated interest in identifying the mechanisms of cell regeneration following AKI. – Post written by Brian Stotter (@StotterMD).